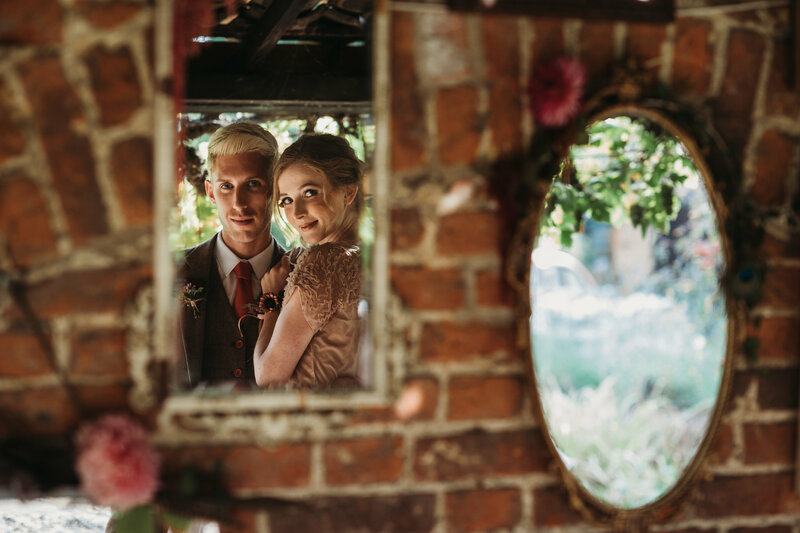 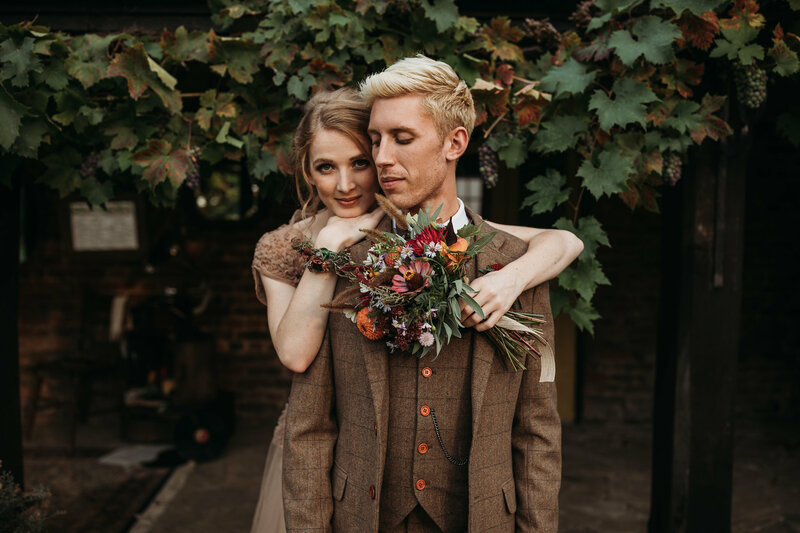 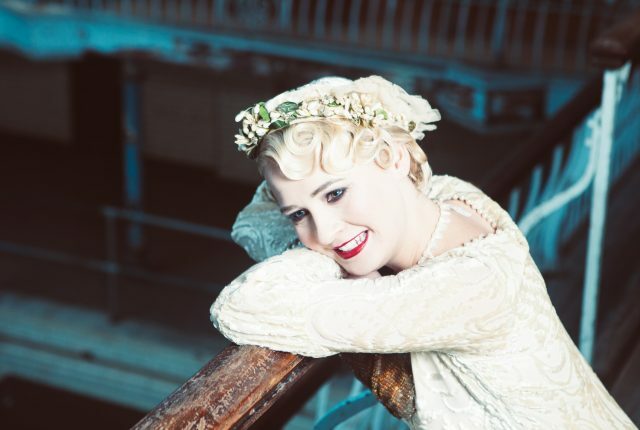 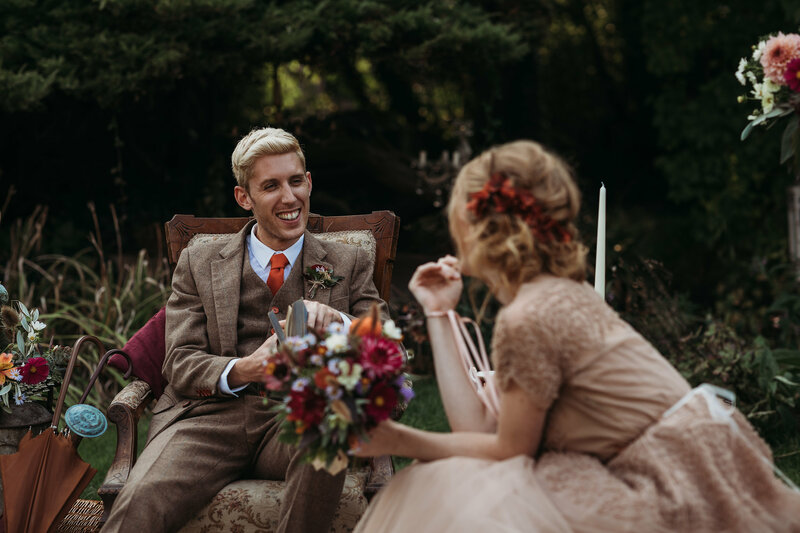 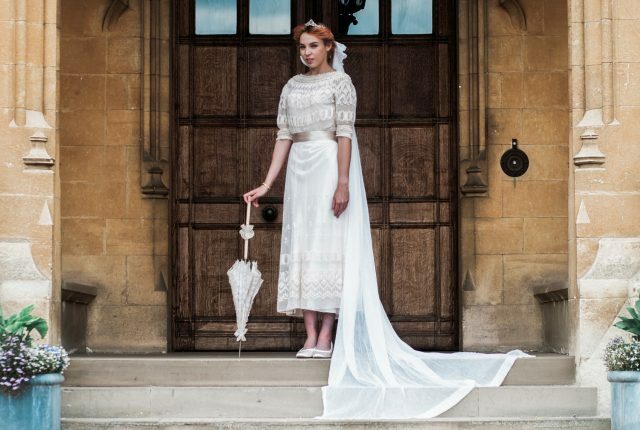 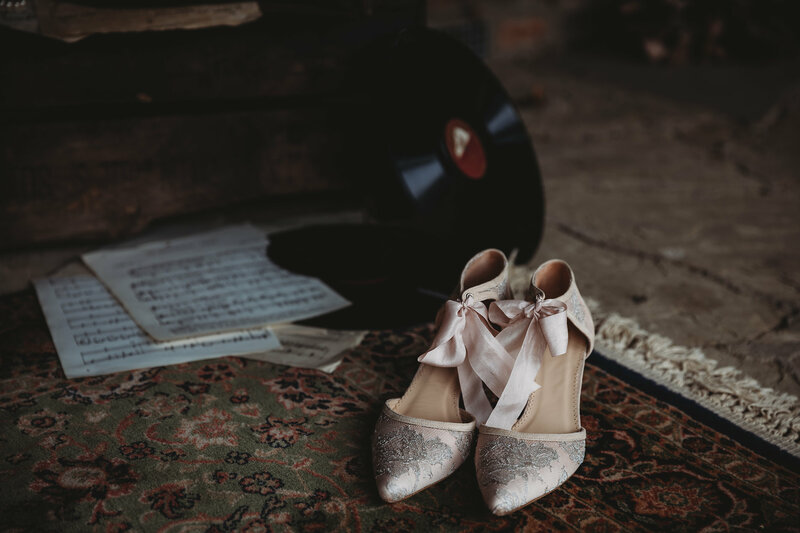 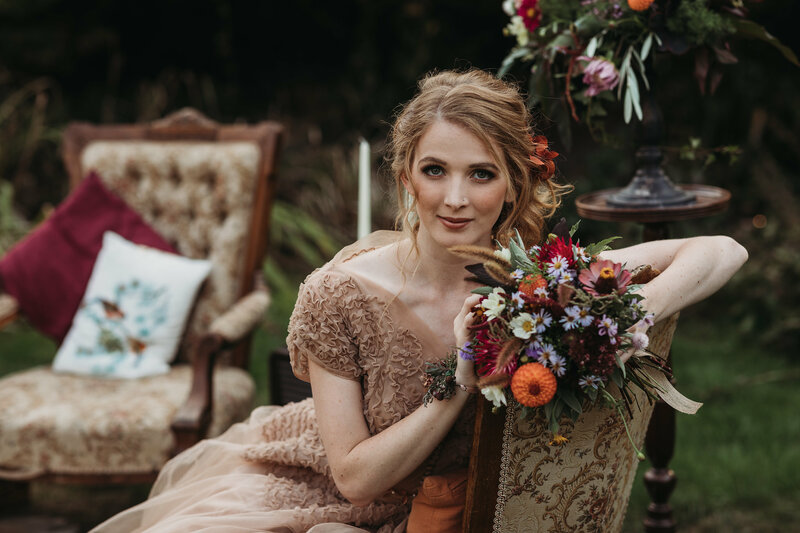 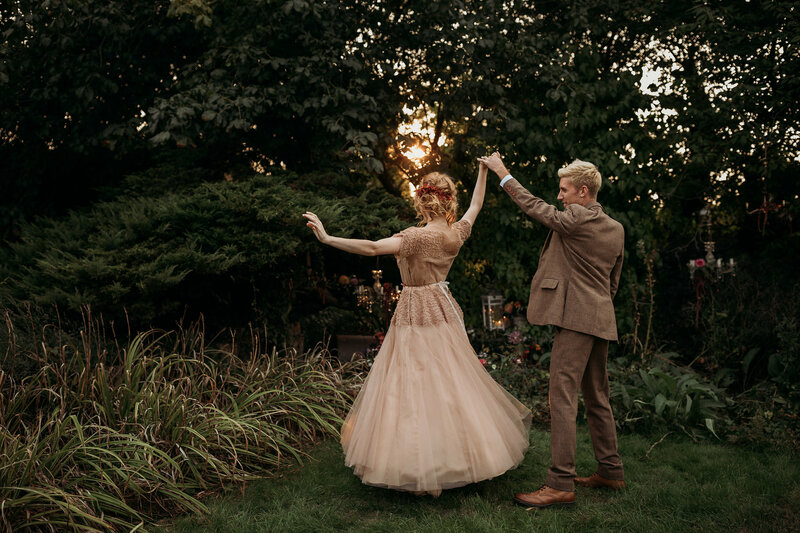 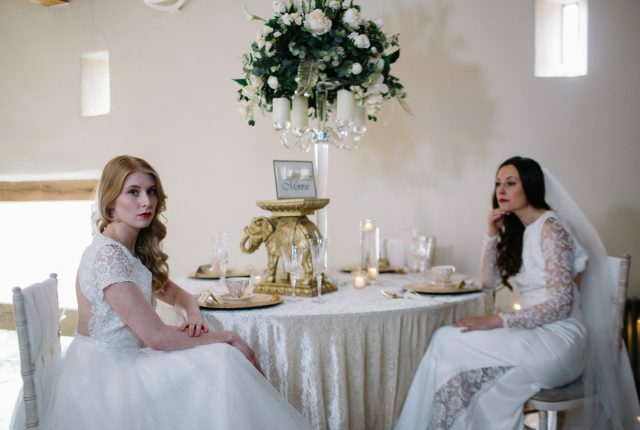 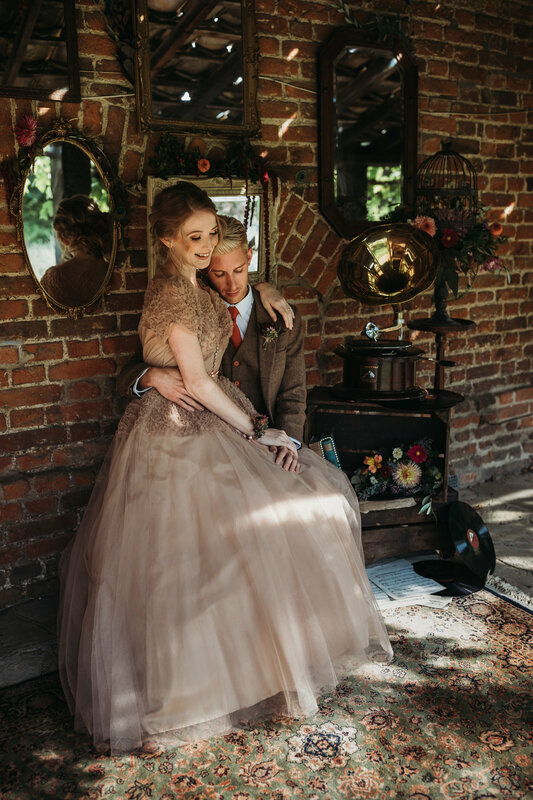 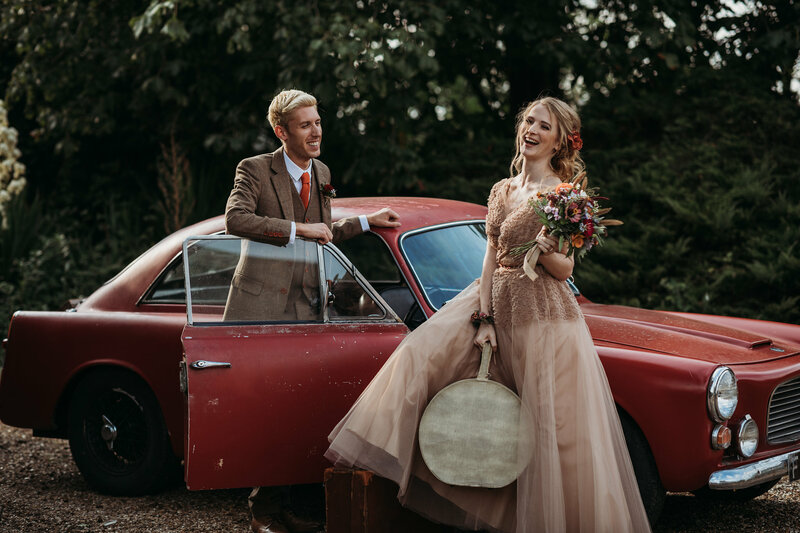 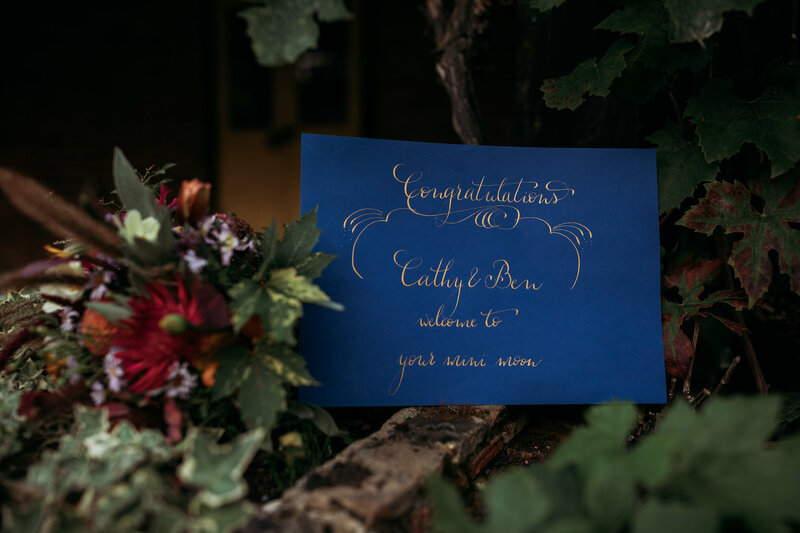 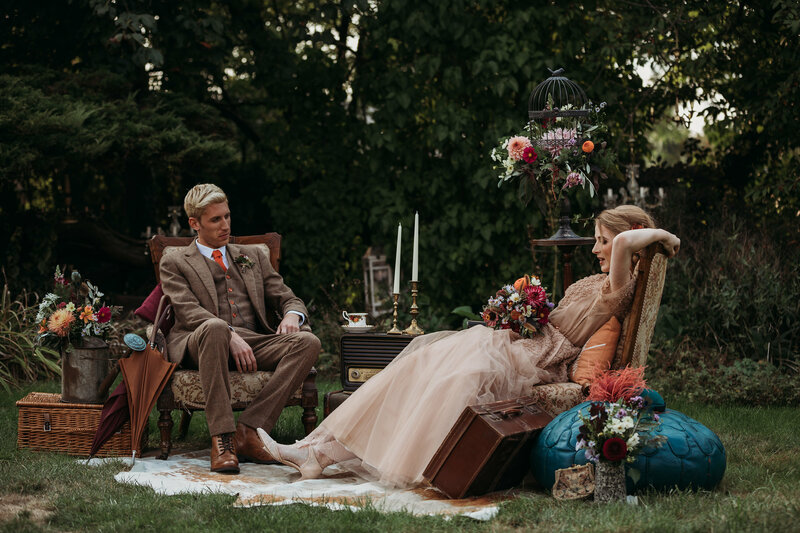 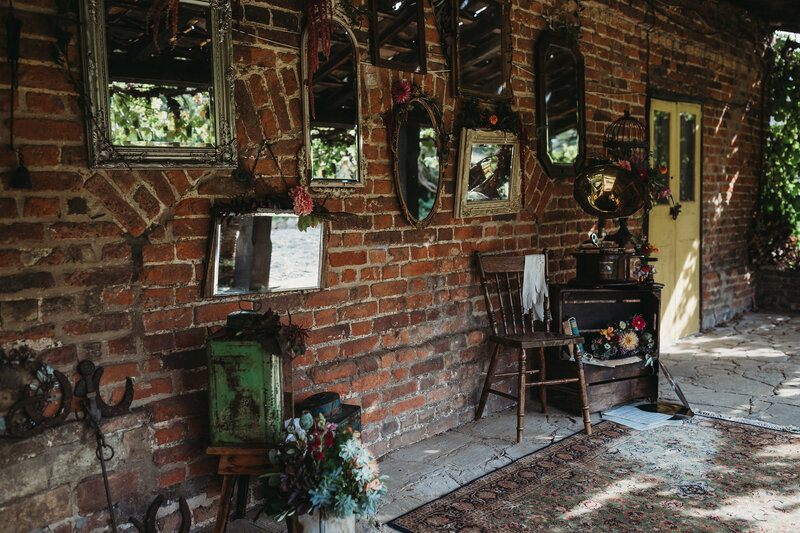 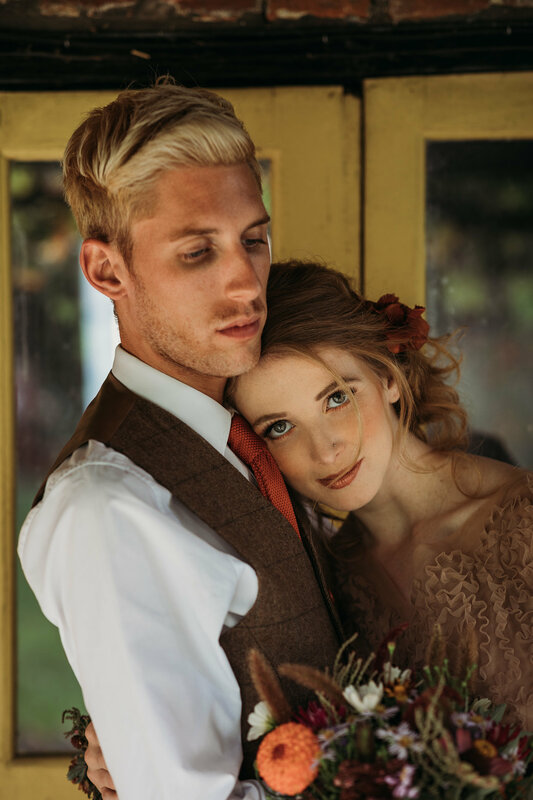 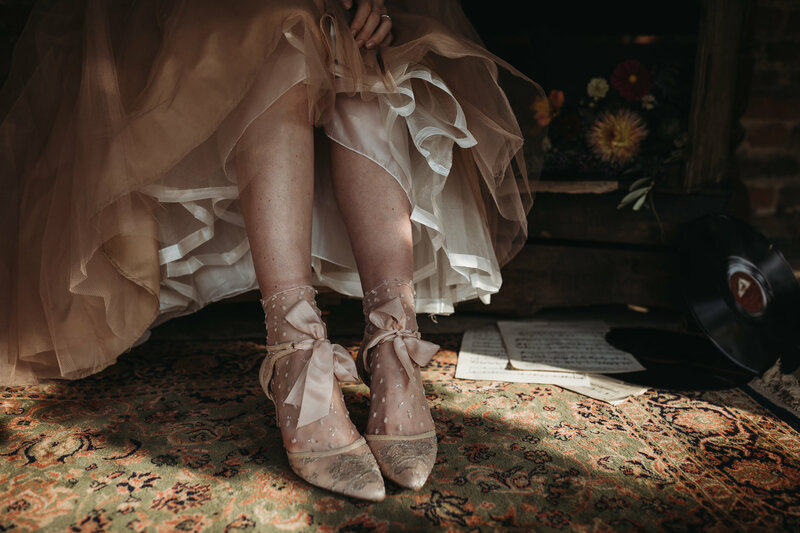 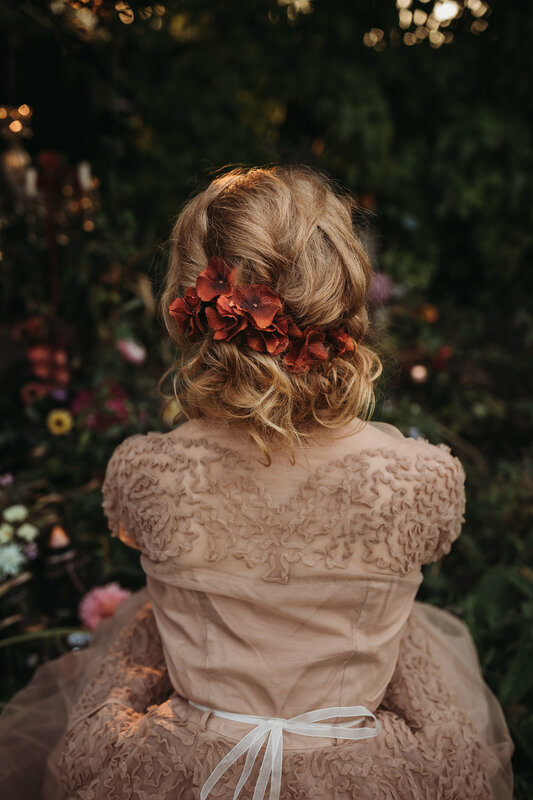 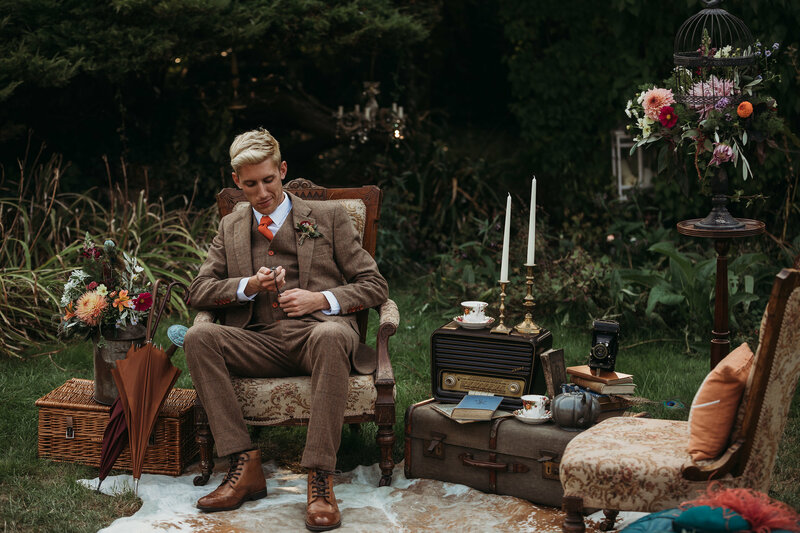 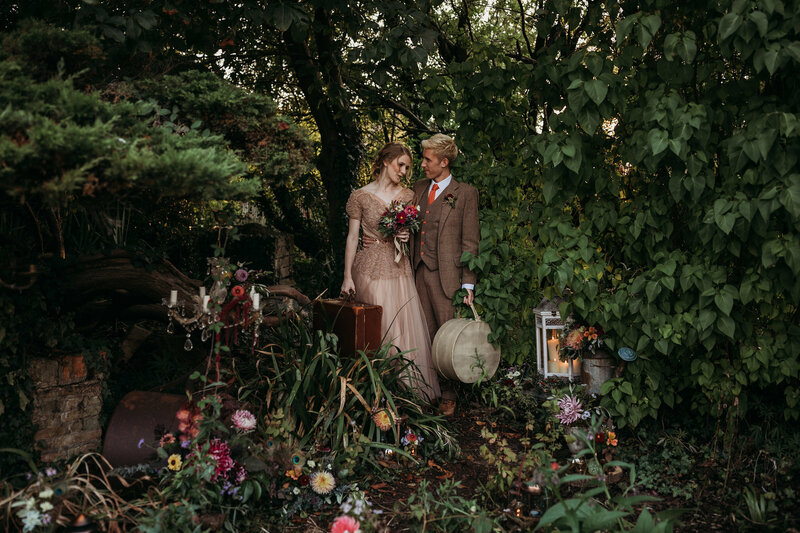 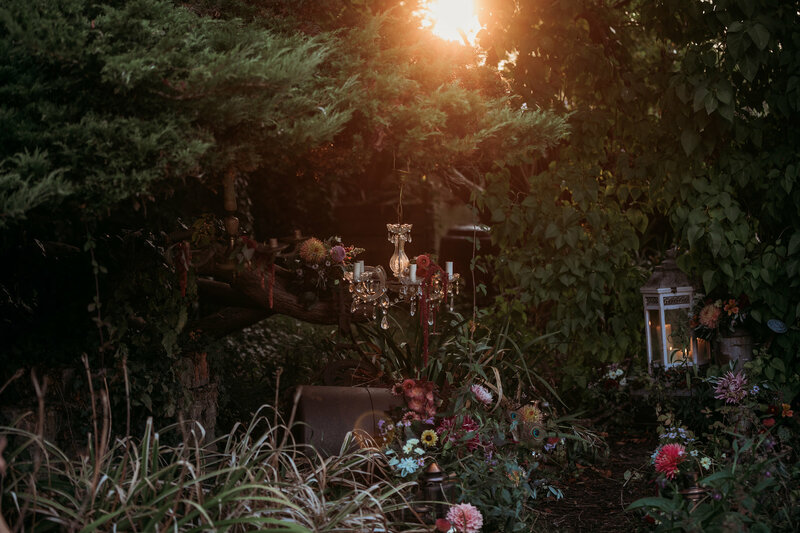 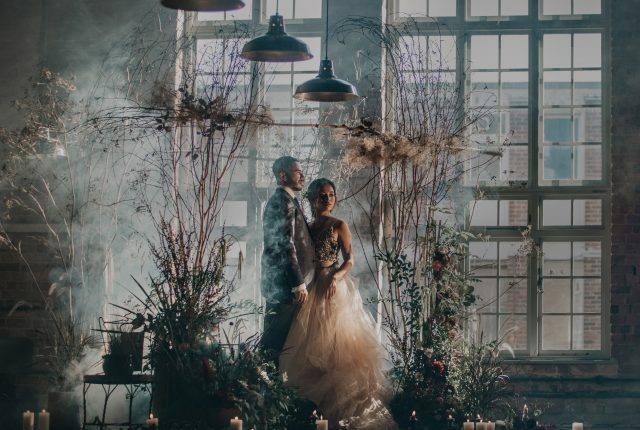 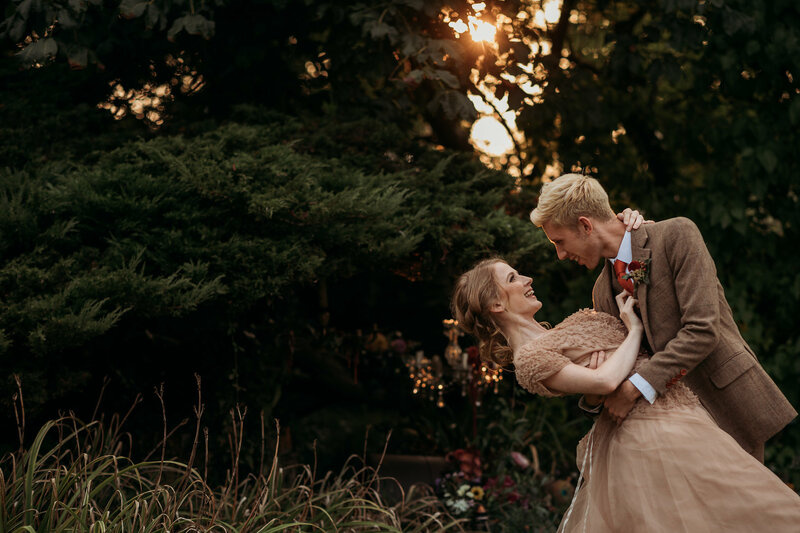 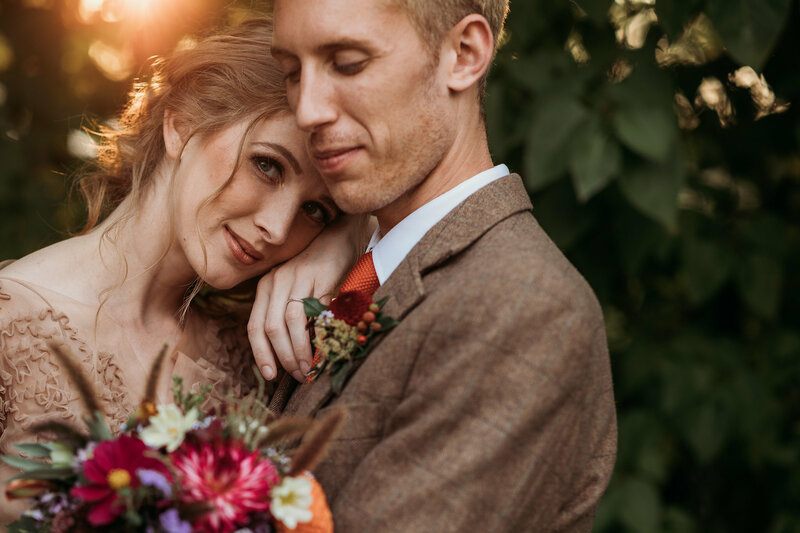 This romantic wedding inspiration has chic vintage vibes, and a super dreamy setting. 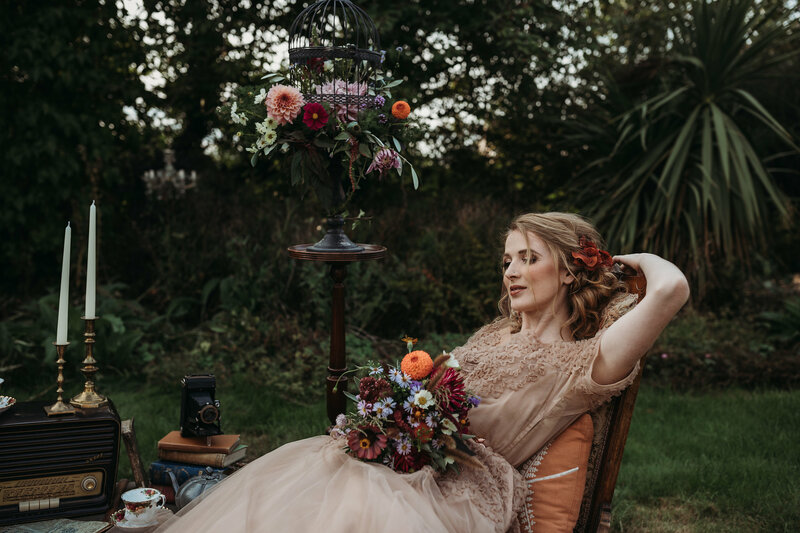 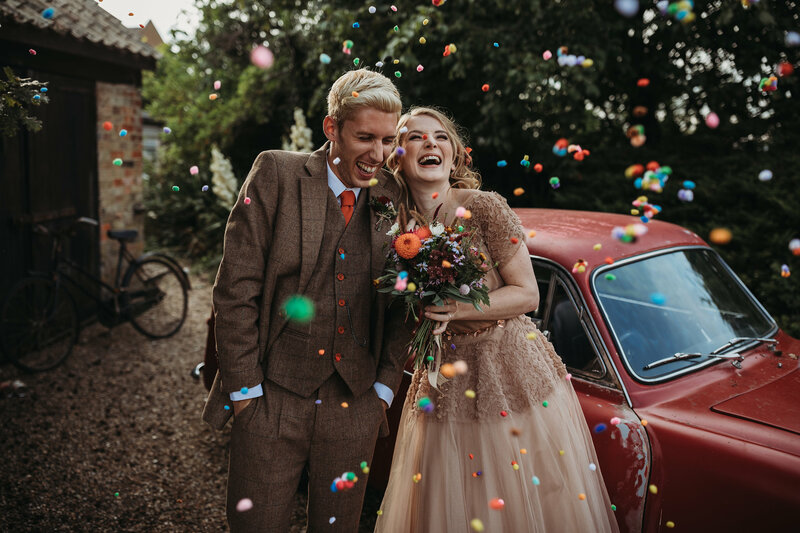 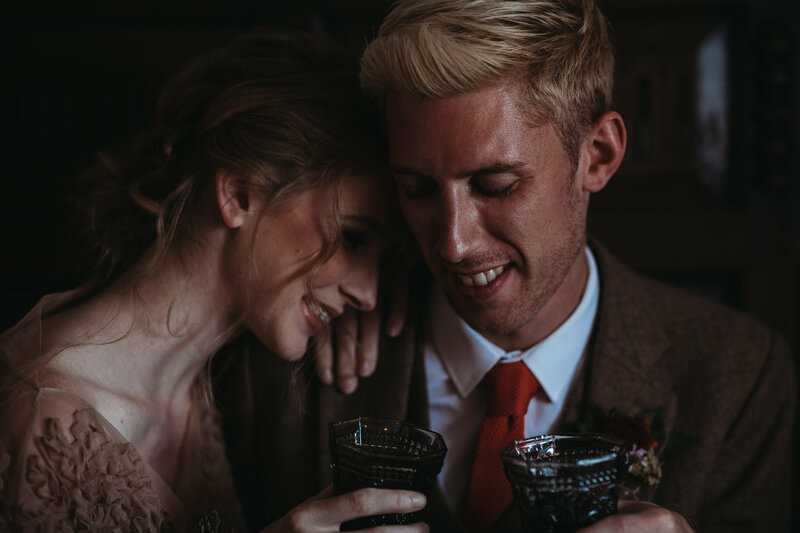 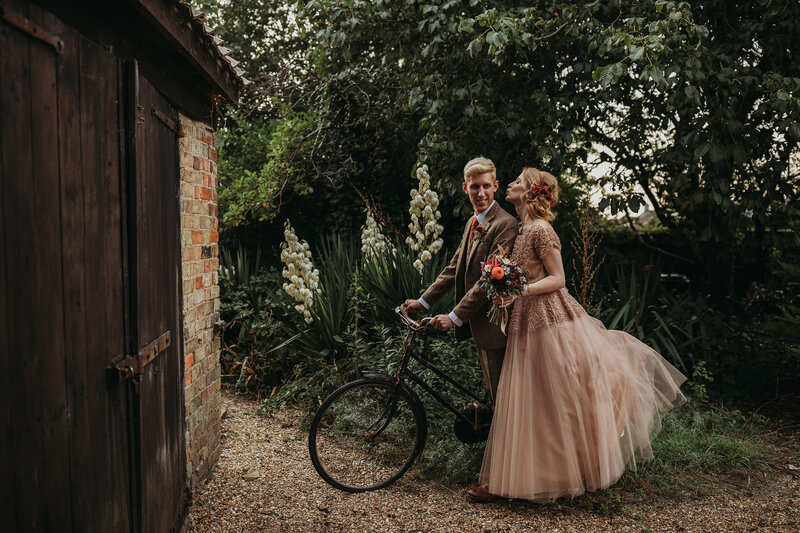 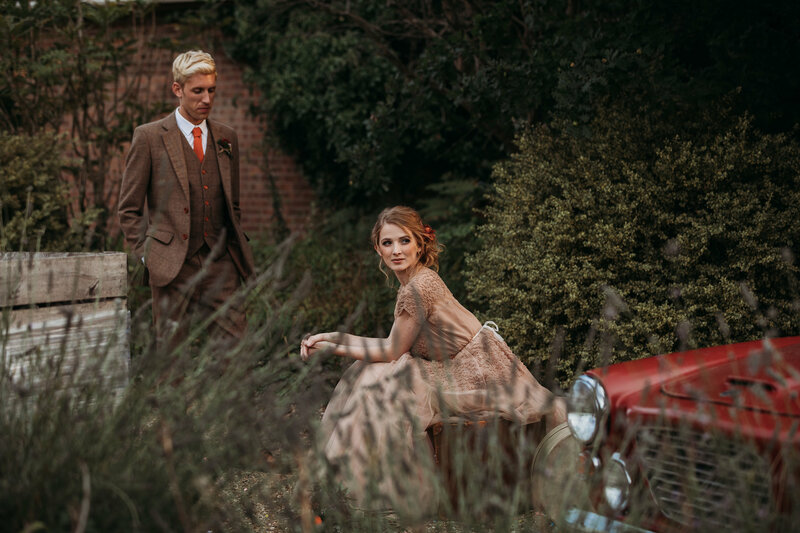 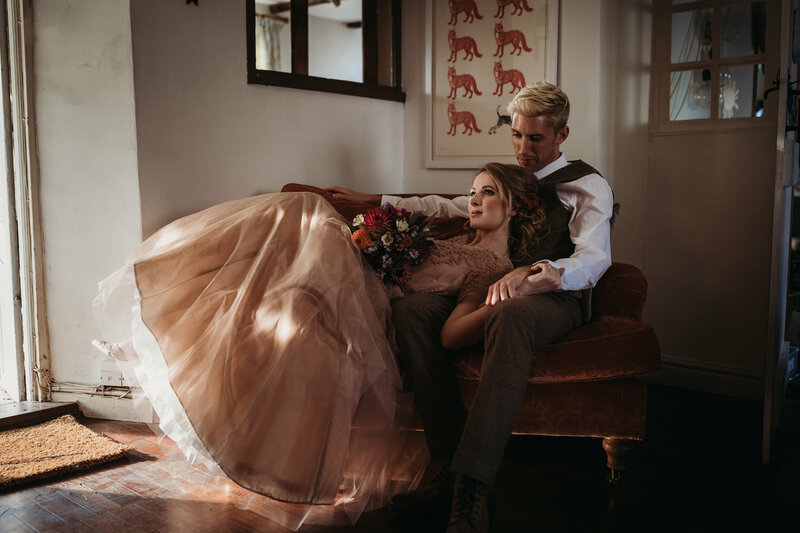 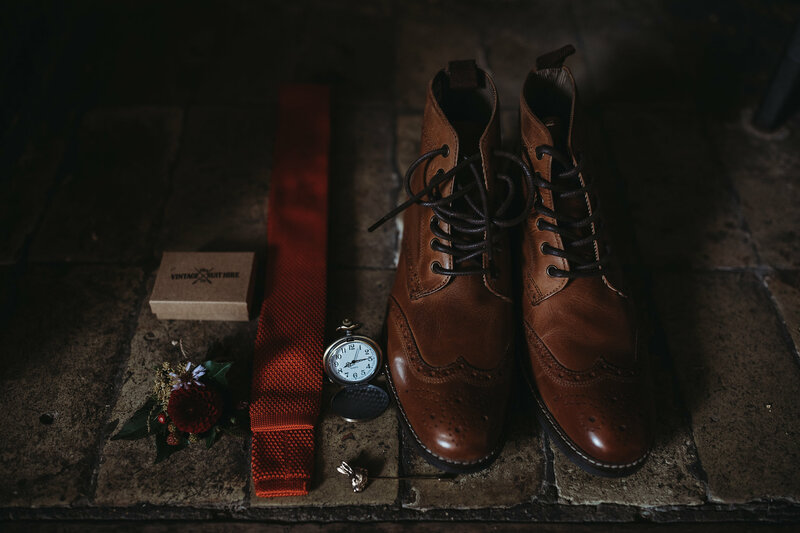 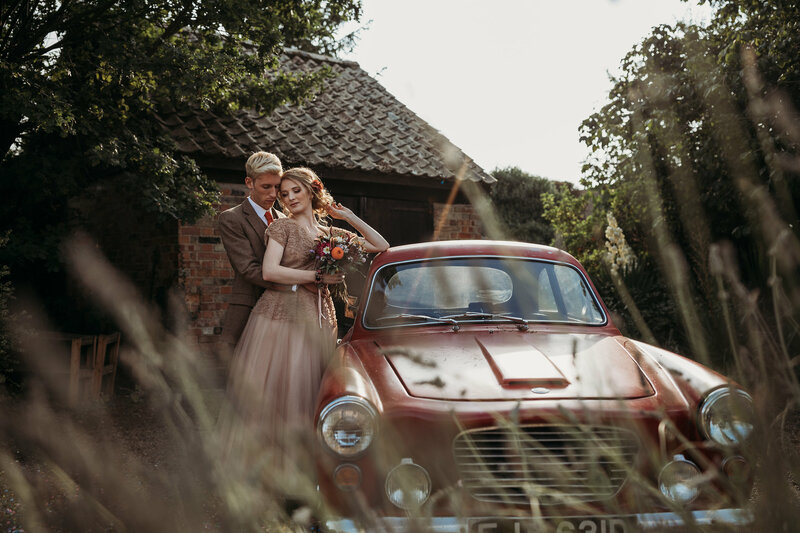 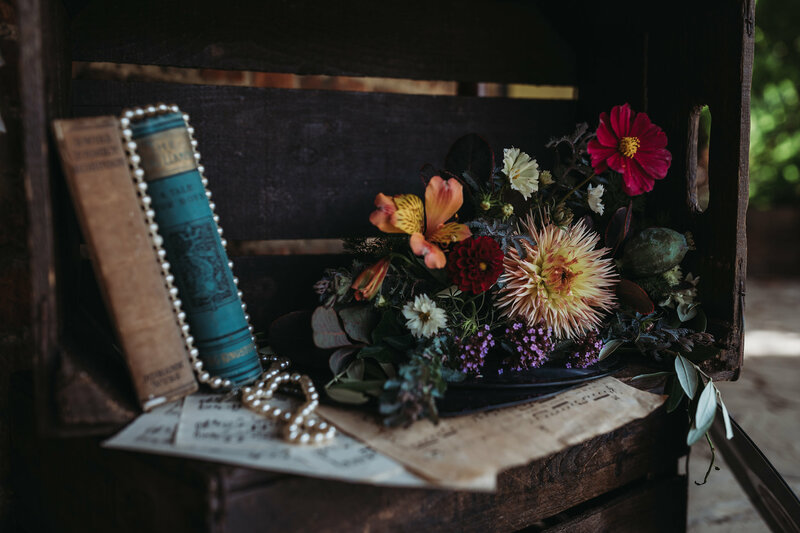 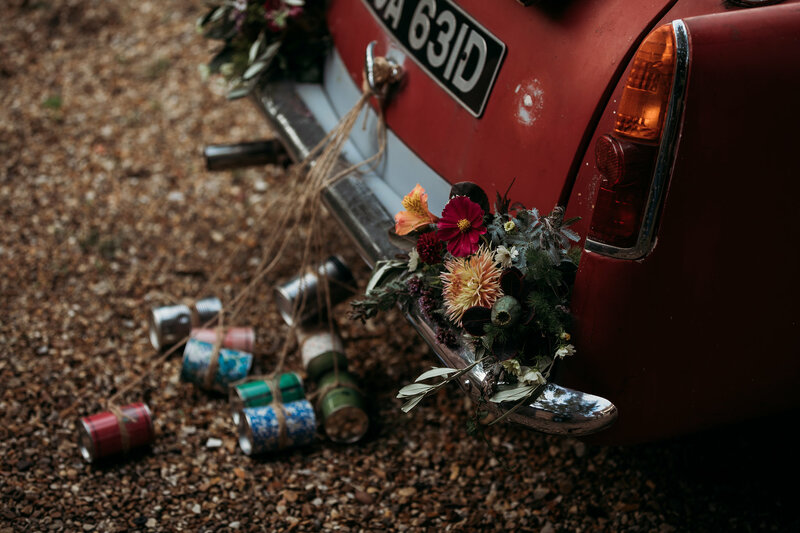 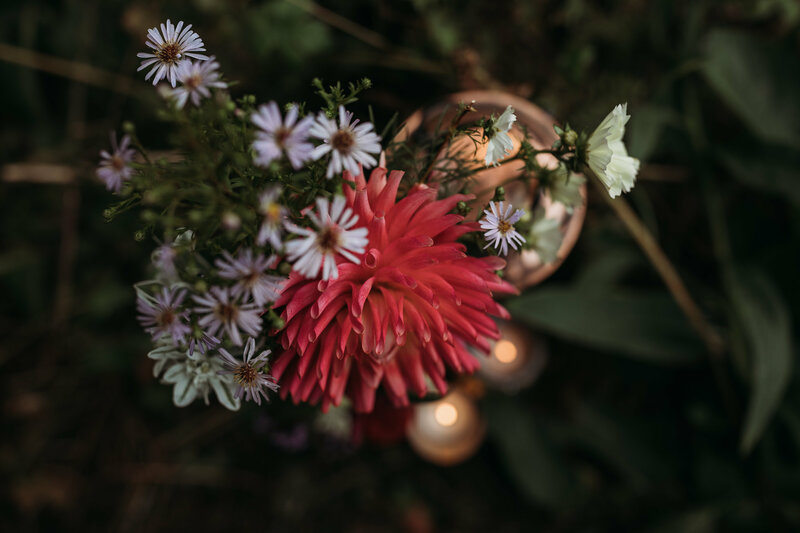 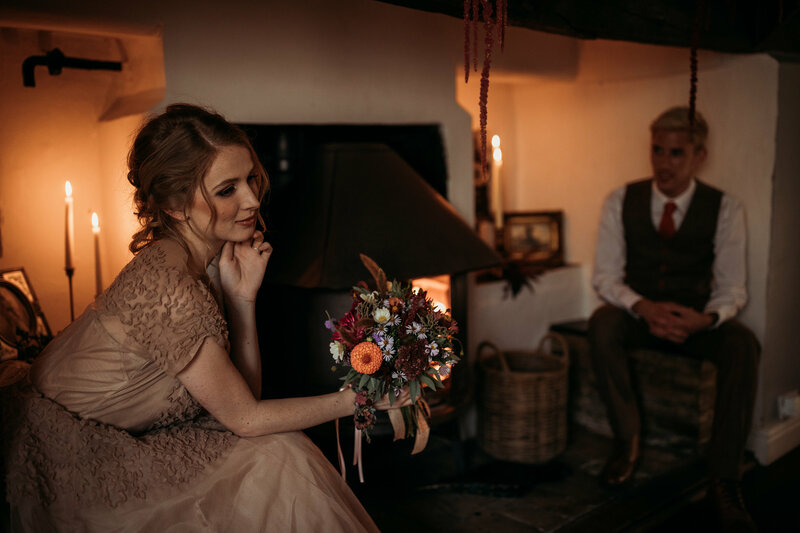 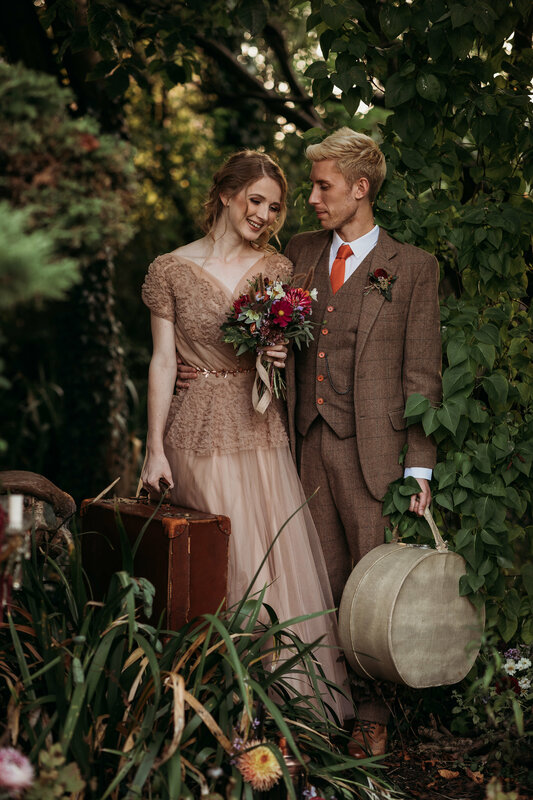 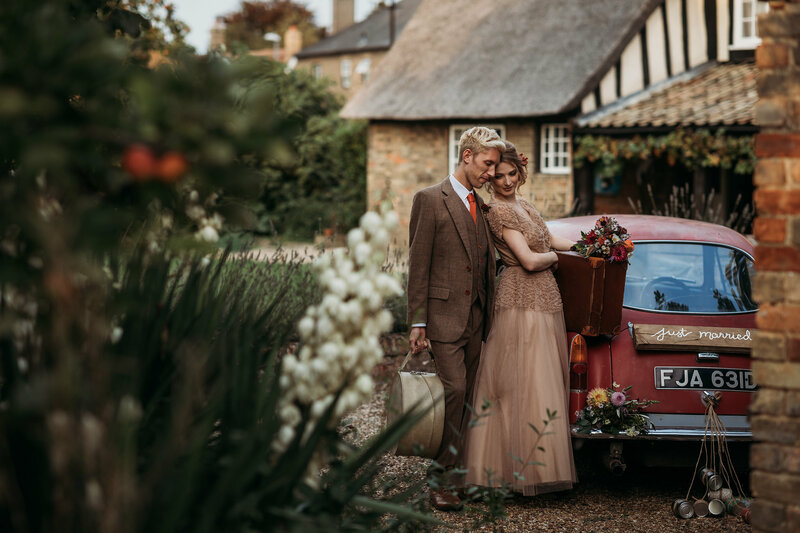 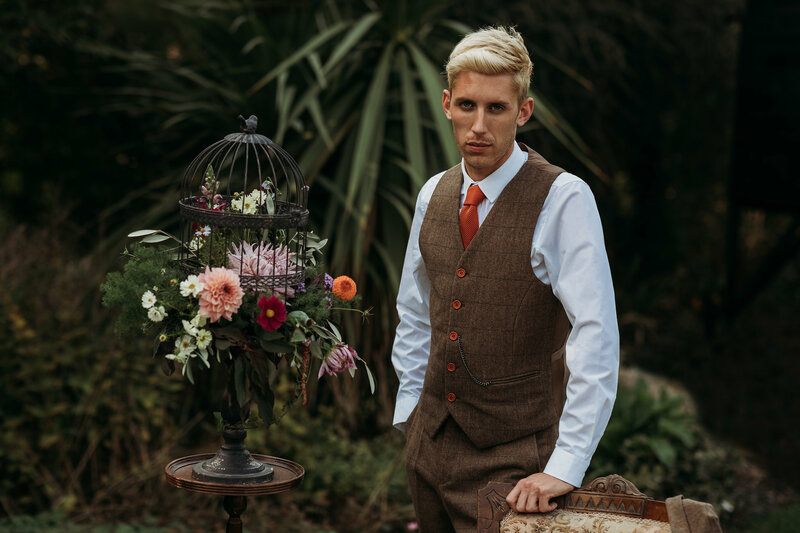 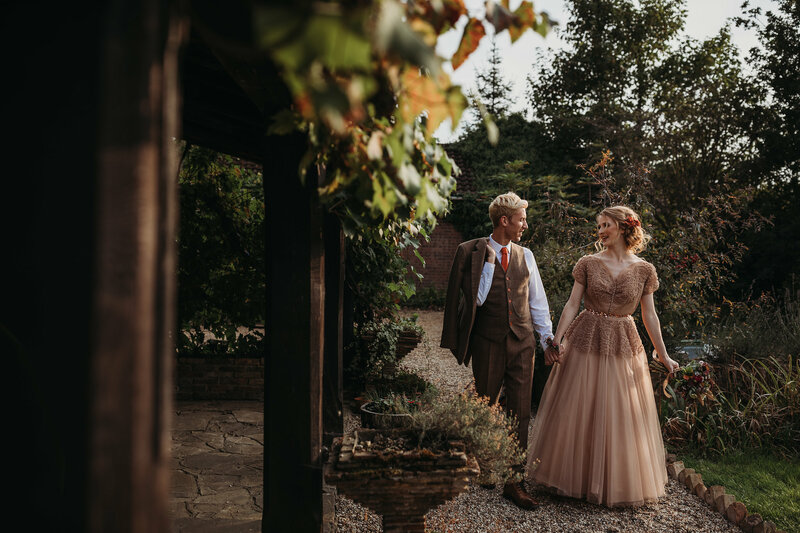 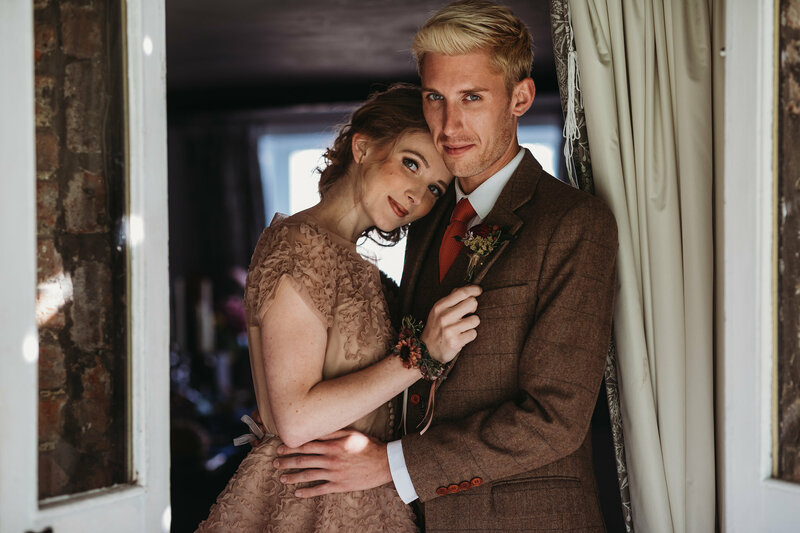 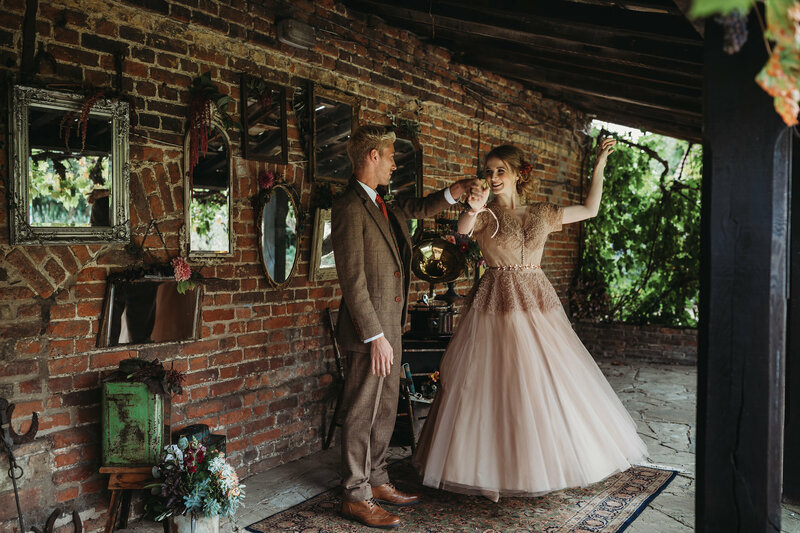 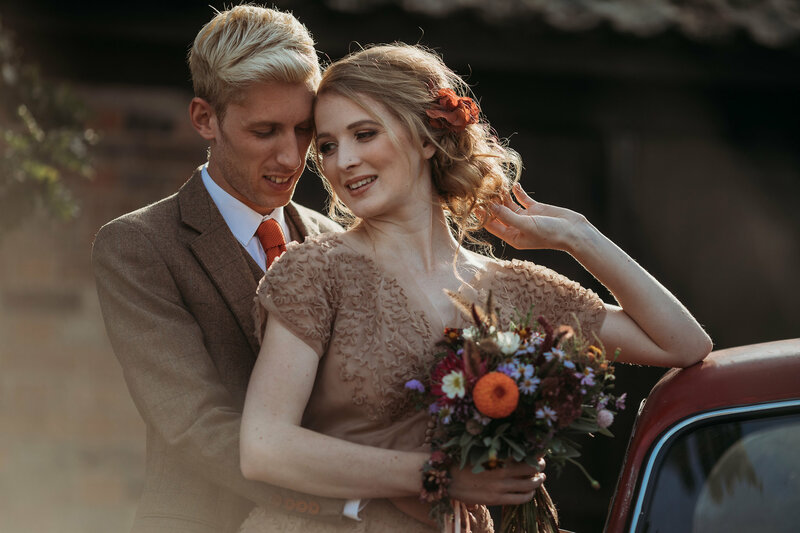 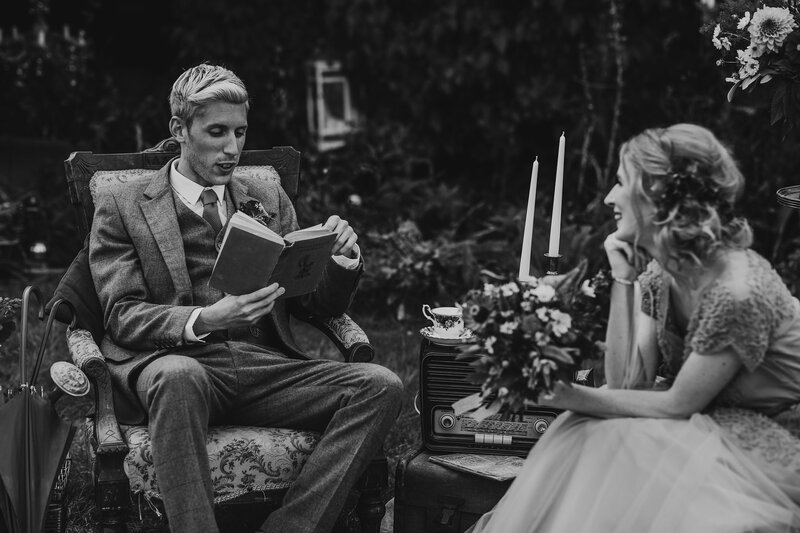 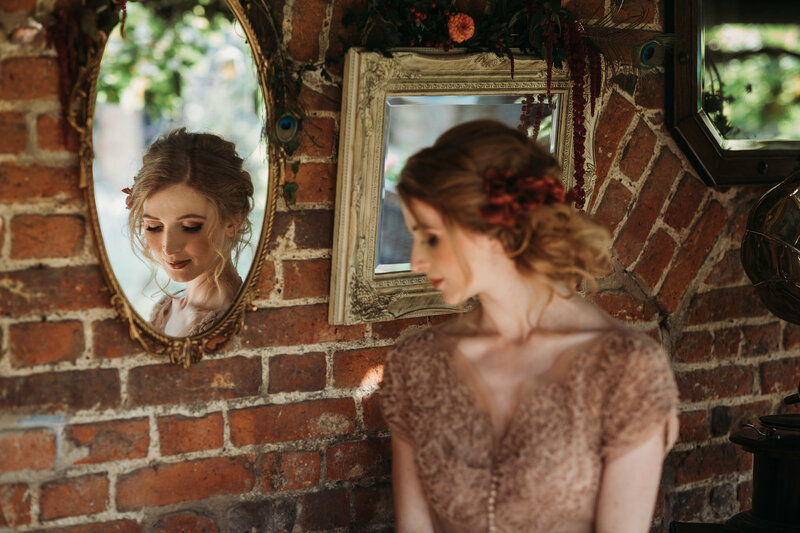 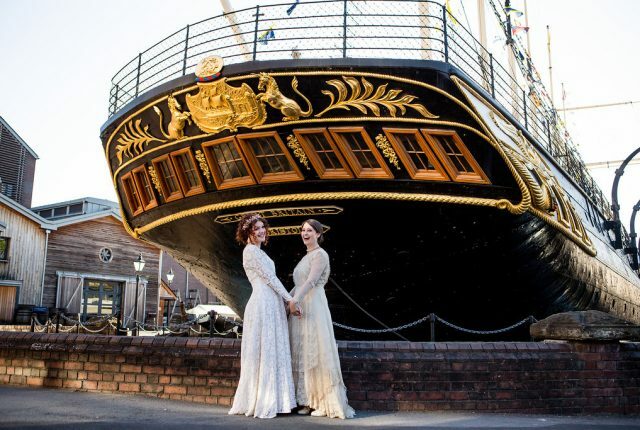 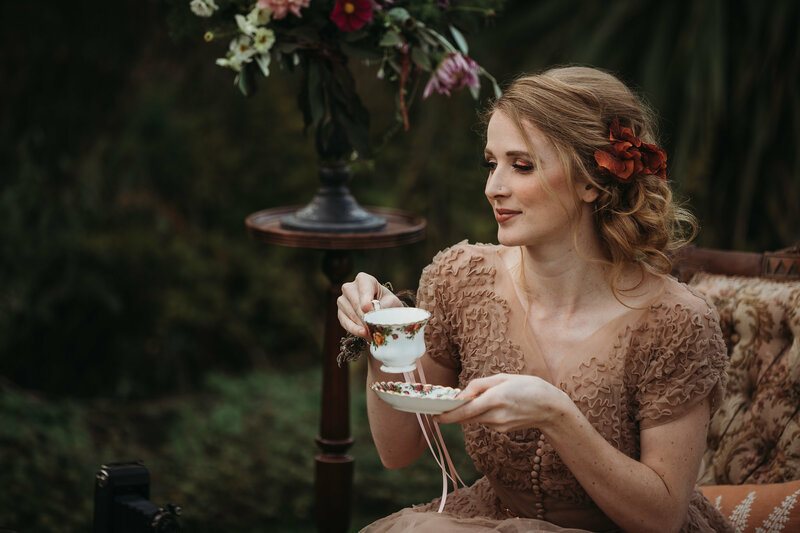 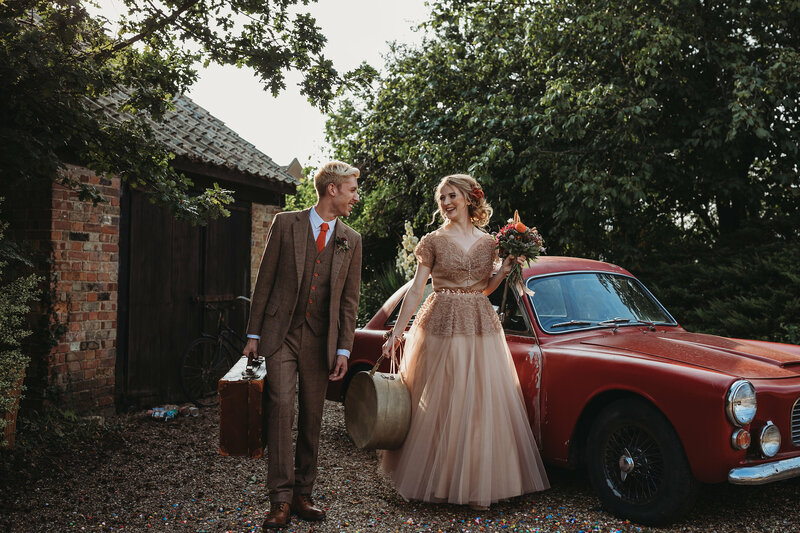 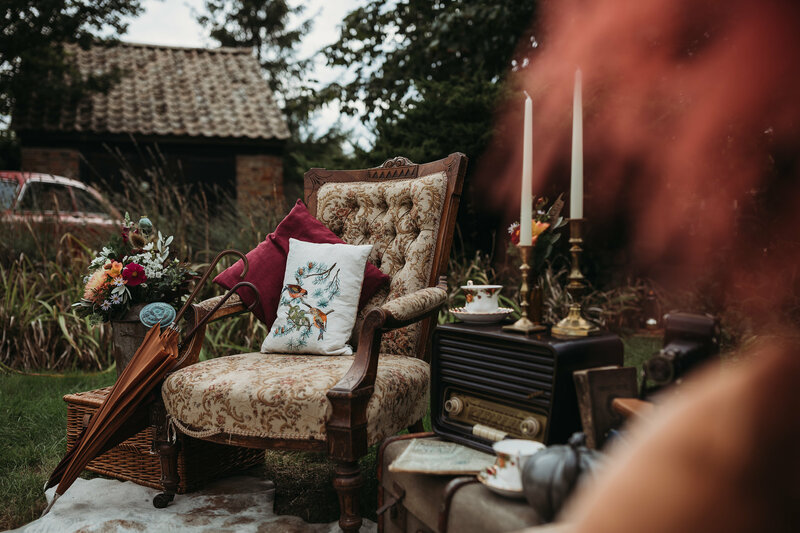 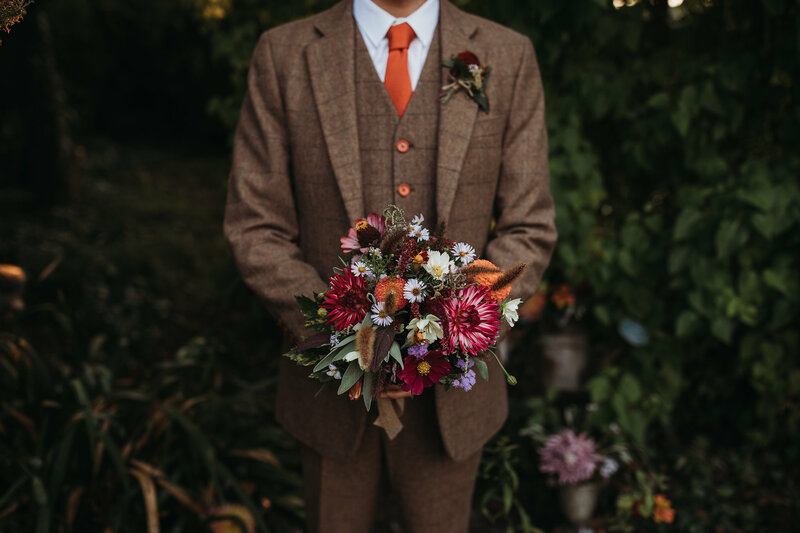 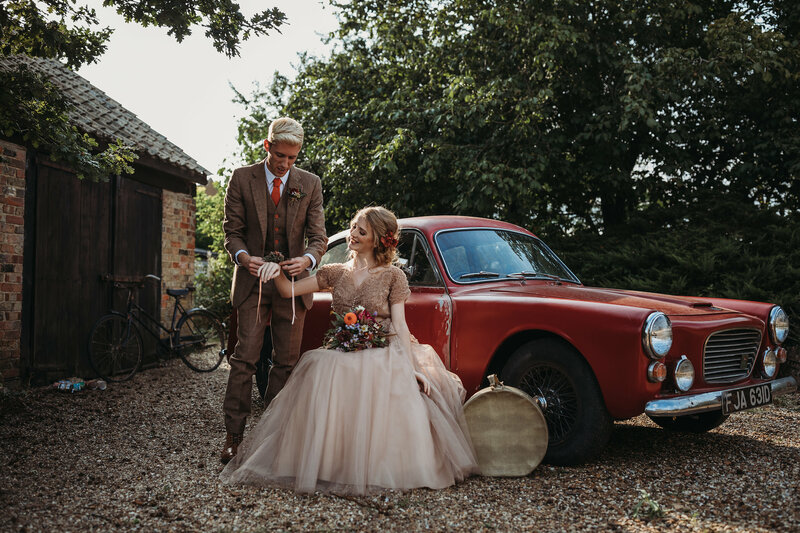 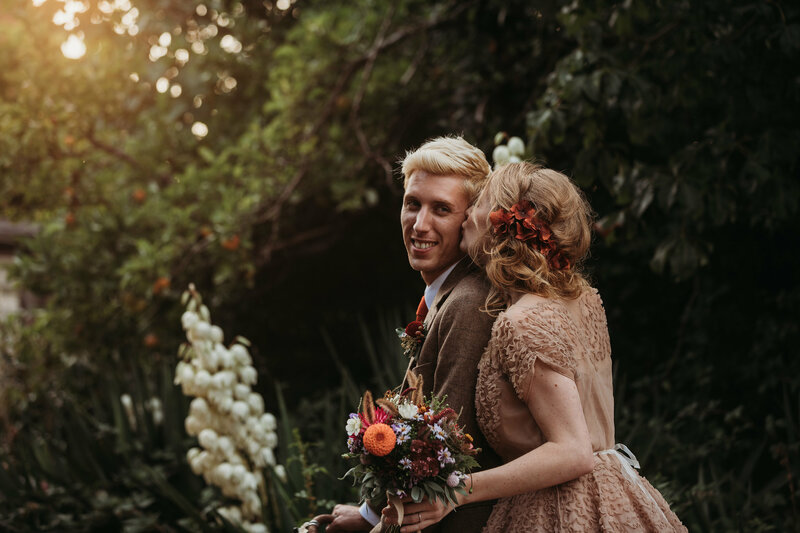 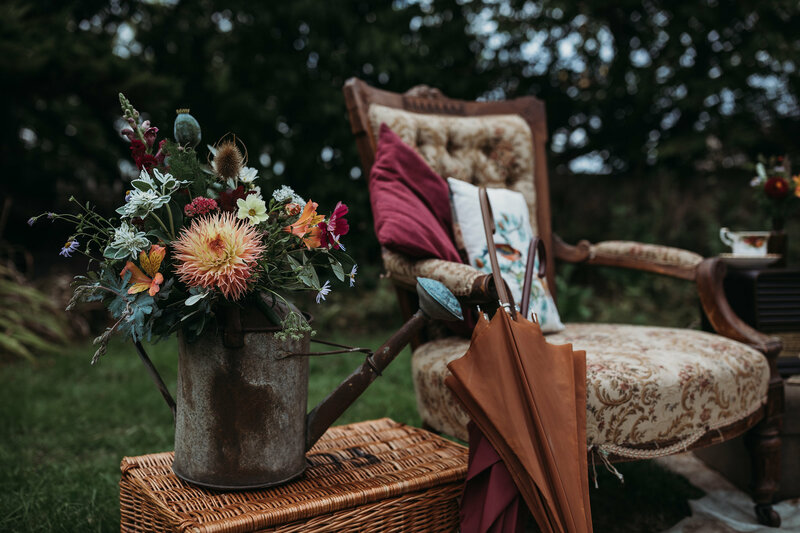 The shoot has a different take, seeing the intimate journey of a post wedding minimoon with beautiful details, and full of inspirational touches to make your big day into a romantic wedding paradise! 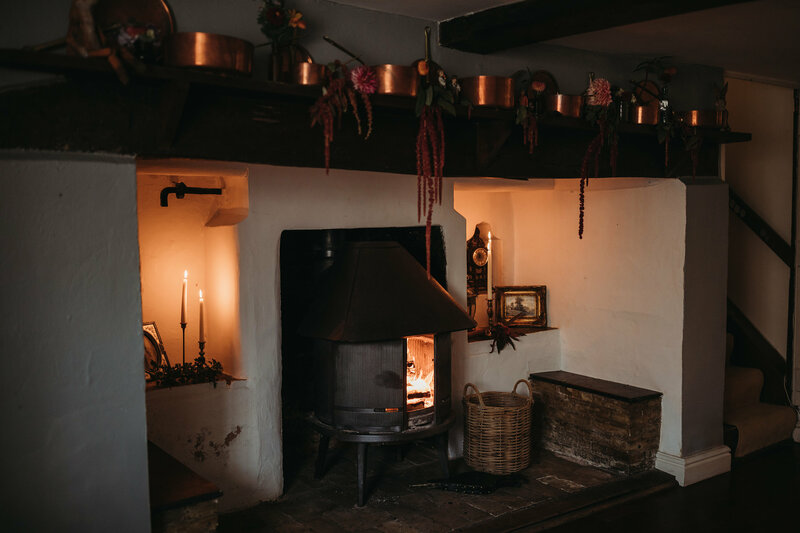 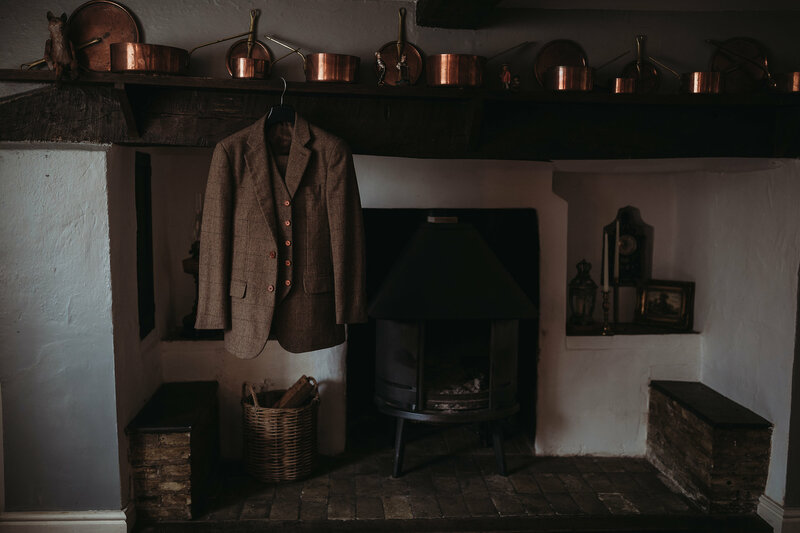 “A touch of opulence complimented with timeless décor enhanced this warm and cosy cottage retreat. 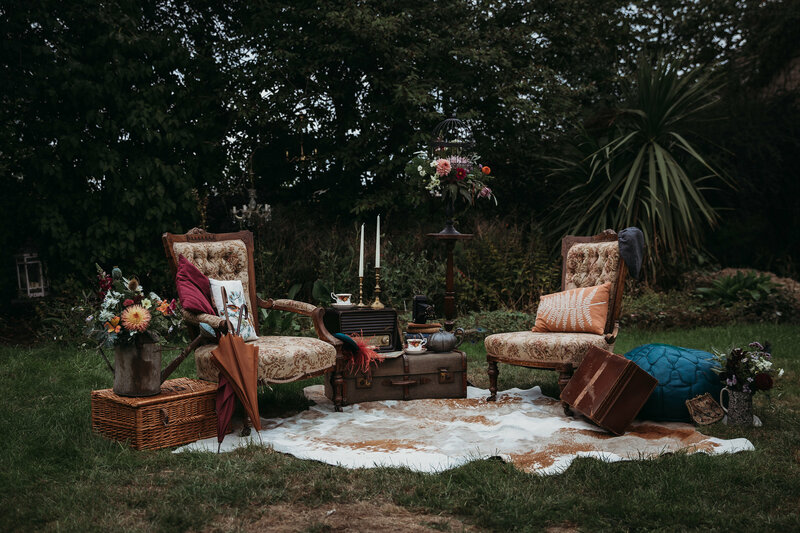 My hope; for each setting to sensitively tell an intimate tale of romance. 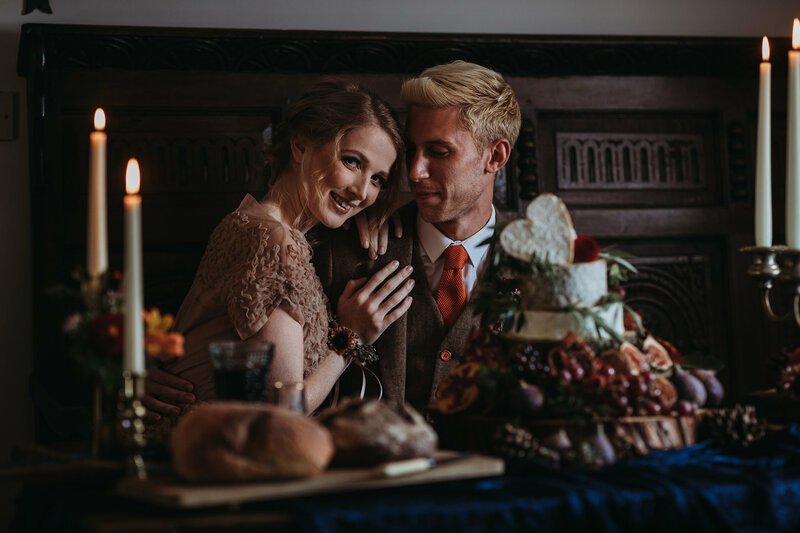 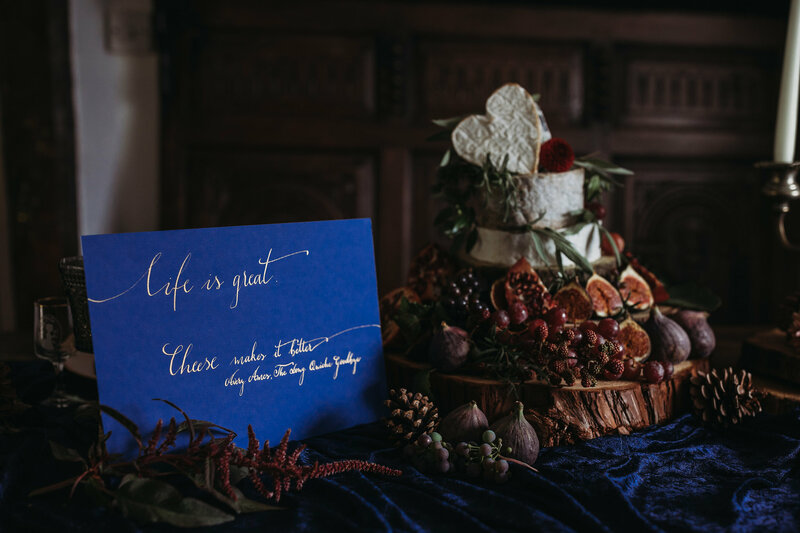 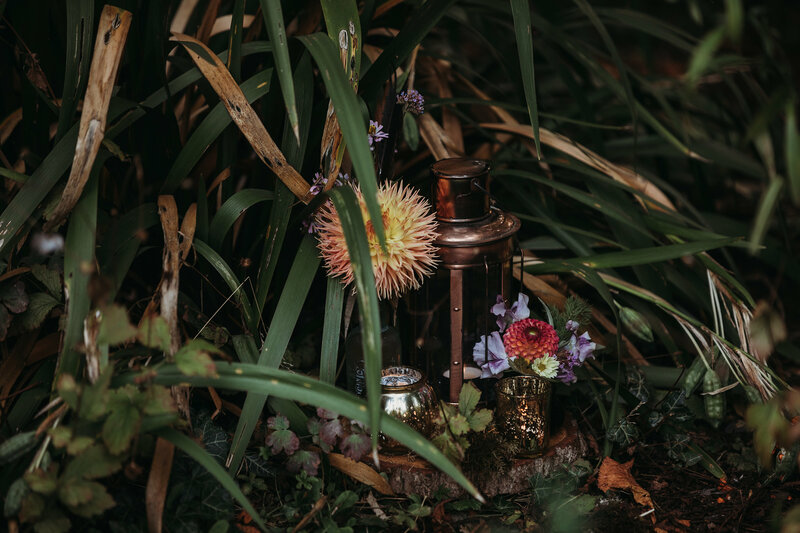 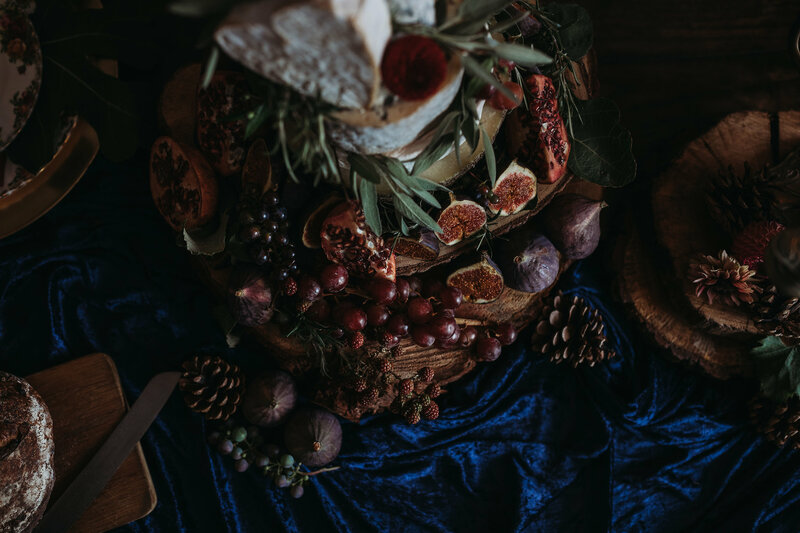 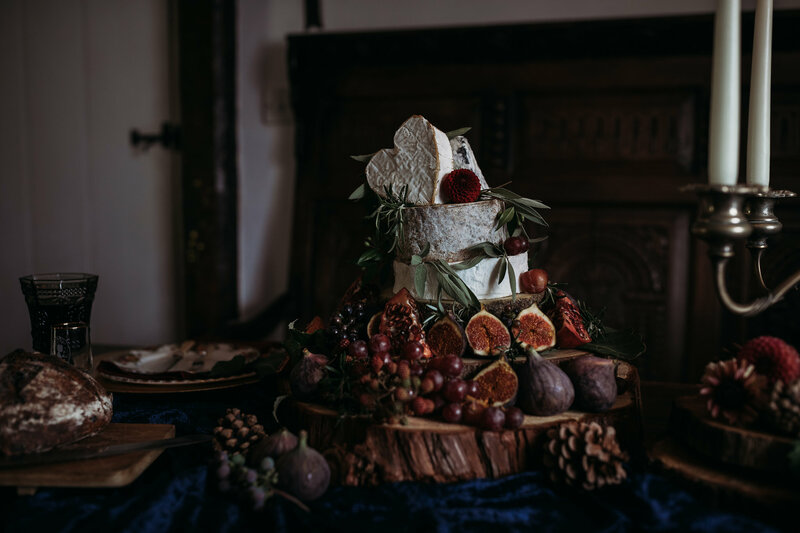 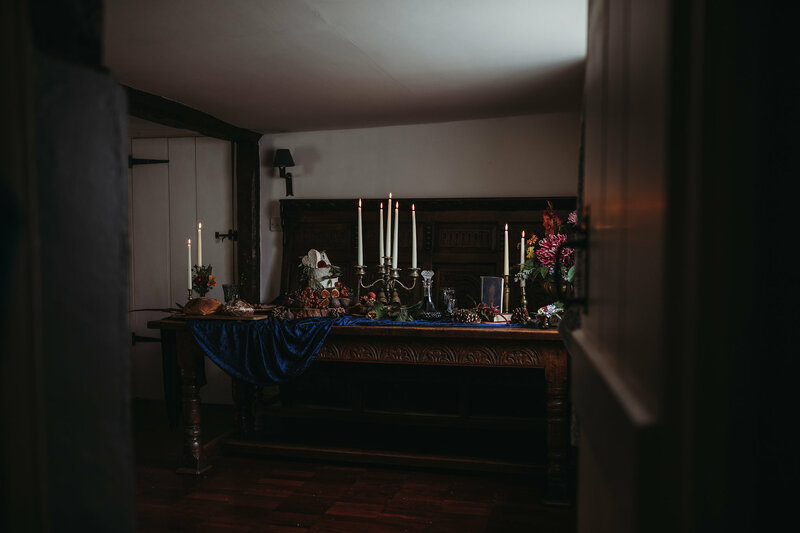 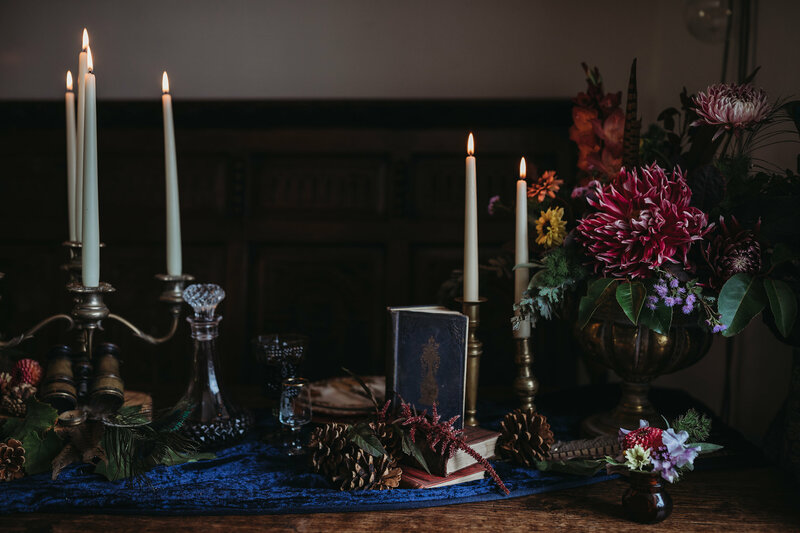 “Gold, natural wood, textiles of velvet, atmospheric candlelight and luxurious autumnal table styling, helped accentuate the heavenly cheese tower and homely fireplace setting.